Please visit HERE to download the flash player. Taken 7/2/10. This is the #2 Chippy. One of my little guys foraging. Turn up your volume to hear better. For those of us that come across orphaned, trapped, wounded or injured wildlife there are two very good local rehab centers that you can bring them to in the Philadelphia/South Jersey region. Here is a link for info on the proper steps in animal rescue from the SCEE. 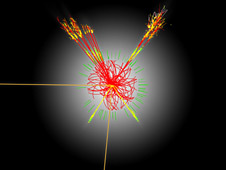 "God particle signal is simulated as sound"
"The Higgs boson particle is thought to give all others their mass"
Scientists have simulated the sounds set to be made by sub-atomic particles such as the Higgs boson when they are produced at the Large Hadron Collider. Their aim is to develop a means for physicists at Cern to "listen to the data" and pick out the Higgs particle if and when they finally detect it. On Sunday morning my beloved wrens that grew up in the bird house over my pond left the nest. But before they did they said goodbye. The three young ones and their parents all flew down and lined up on the portion of my fence closest to me and just looked at me for a little while to say what I would like to beleive was thank you. They then flew off one at a time and haven't been seen since. It's moments like this that make all of the work worthwhile. This is the fourth year in a row that they have been nesting in the different bird houses in my yard. 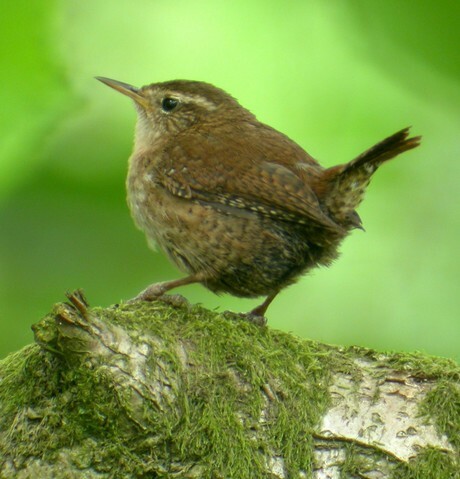 Wrens are tiny birds that like the smallest opening in their houses to rear their young, a 1.25" opening. They are great insect hunters and are great for keeping those annoying mosquitos at bay. If interested look for simple houses with the 1.25 opening that are made specifically for wrens. It is too small of an opening for most other birds in this area. It protects them from preditory birds and the stalking cats in the neighborhood. They were well used to me being around in the yard and would come right up to me as long as I didn't move too much as they were hunting for insects to feed their young. They have a very distinctive call. A perfect morning. The Dead playing, Koi swimmin', Red-Bellied Woodpecker tapping a tune, Juvie-jays being fed, Cat birds guarding the wren nest who were out chasing squirrels, Chipmunks were scurrying, Baby Bunnies were hiding, Cardinals were gliding and the Robins were taking a bidet in my fountain shakin' their butts. The wrens will be missed until next year. The photo was found online. Photographer unknown. 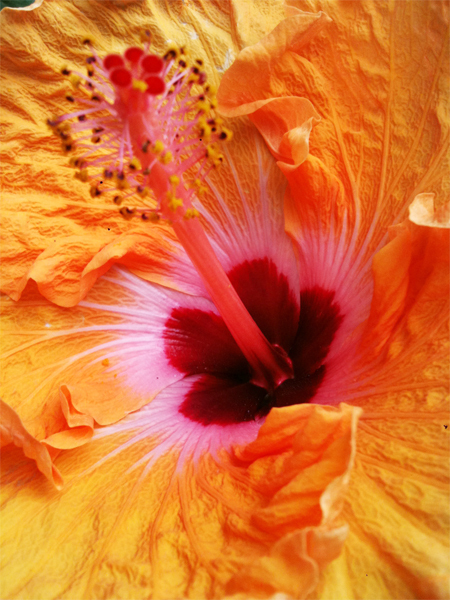 It's Hibiscus season once again. I plant a number of perennial varieties in my garden that just keep on growing every year. This year I picked up this one, which is zoned for a warmer climate and will have to be brought inside for the winter but is just spectacular with its ruffled edges and alluring colors. I'm always on the look out for the unusual variety of any given plant species frequently acquiring new cultivars as they come to market in the specialty garden centers.